A medium sized bright red apple that has creamy white flesh, which is firm and juicy. It has a sweet, mildly acidic flavor. It makes a good eating apple and works well in pies. It is an excellent drying apple. It has a shorter shelf life than some other varieties. Stores for 6 to 8 weeks. 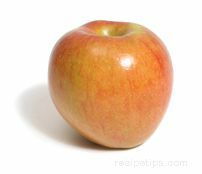 A mid-sized variety of apple that has bright red outer skin with pale green markings and a cream-colored crisp, juicy inner flesh. This apple has a sweet flavor similar to a Delicious apple and is an excellent apple for salads, baking, cooking, or for eating out of hand as a snack. It freezes well for keeping longer periods of time. Sierra Beauty Apple A large apple that is green to yellow in color with a red blushing or streaking. It is a crisp, juicy apple with a tart flavor. It makes a good eating apple, especially for those who prefer a more tart apple. They can be used for cooking but do not hold their shape well. Sierra Beauty apples store well. Originating in New Zealand, this variety of apple has been developed with a distinctive shape and flavor. The Sonya Apple is taller in shape than a traditional apple, standing more upright rather than round and stout. 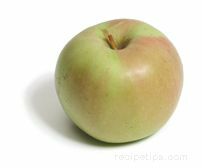 Covered with light red shading over a golden yellow and green background, the flesh of the Sonya Apple matures into a very sweet flavor with very little acidity. Sonya Apples are descendants of the Gala and Red Delicious varieties, with a flavor similar to the Golden or Red Delicious apples, but sweeter. An all-purpose medium sized apple that is a cross between the McIntosh and the Newtown apple. It is dark red in color over a greenish yellow background and has a crisp, white flesh providing a uniquely sweet flavor. It is a great snacking apple and cooks up soft, making it excellent for applesauce. State Fair Apple An early season apple that is medium sized with skin that has bright reddish-orange striping over a yellow background. It has a round, slightly conic shape. Its aromatic flesh is crisp, juicy and has a sweet but slightly tart flavor. It is one of the firmer, sweeter varieties and keeps fairly well for being one of the early seasoned apples. It is a good fresh eating apple. 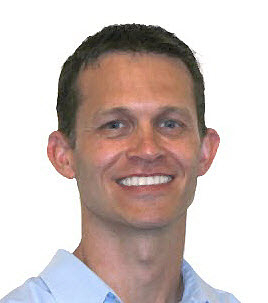 It is harvested beginning in the middle of August through September. 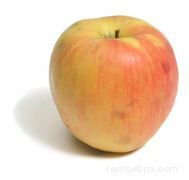 A medium size apple that has a red with yellow streaked outer skin and a cream colored fine textured flesh. This apple has a very sweet flavor with high sugar content and is considered a good apple for baking sauces or eating raw. A small deep red apple with a juicy, yet firm, greenish yellow flesh and a tart, wine-like flavor. 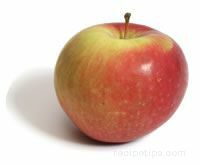 The Winesap apple is a good eating apple or served in salads. 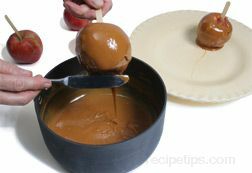 It is an all-purpose apple, which holds its flavor when cooked in sauces and pies. It is also often used to make cider. A very old hearty apple variety that is large in size, commonly weighing over a pound. This apple is golden green to bright red in color with a firm cream-colored flesh that provides a rich sweet flavor. The firm flesh makes it an excellent apple for sauce, for drying, for baking, and eating out of hand. An apple variety characterized by its red skin, which contains streaks of yellow and russet specks and its flattened oblong shape. It has a creamy white flesh that is crisp and coarse textured. The York Imperial has a flavor that is sweet yet slightly tart. It is an excellent choice for baked desserts or for dishes cooked on the stovetop, since it holds its shape and flavor well when cooked. It is most often available during the winter months. A variety of apple that grows well in cooler climates, Zestar apples are harvested late in the summer season. It is bright red with greenish yellow coloring, medium sized, with a crisp white grainy flesh that is very juicy and sweet in flavor. The sweet spicy flavor of this apple makes it an excellent one for snacking, as well as for baking and sauces. Store it in refrigerated areas to keep for approximately 6 to 8 weeks.